There are many theories about Challenge Coins, one is that Challenge Coins were originally used by Special Forces to recognize soldiers for outstanding acts, team training, unit identification, to boost esprit de corps, and to build camaraderie. Today, all military and many law enforcement units have challenge coins. Traditionally, "coining" was executed to see if fellow soldiers were carrying their unit's coin. In the Viet Nam era this tradition was modified slightly so that the loser of the challenge (Not carrying a coin) was obligated to buy a round of drinks. Today Challenge Coins are handsomely presented in display cases for everyone’s enjoyment. 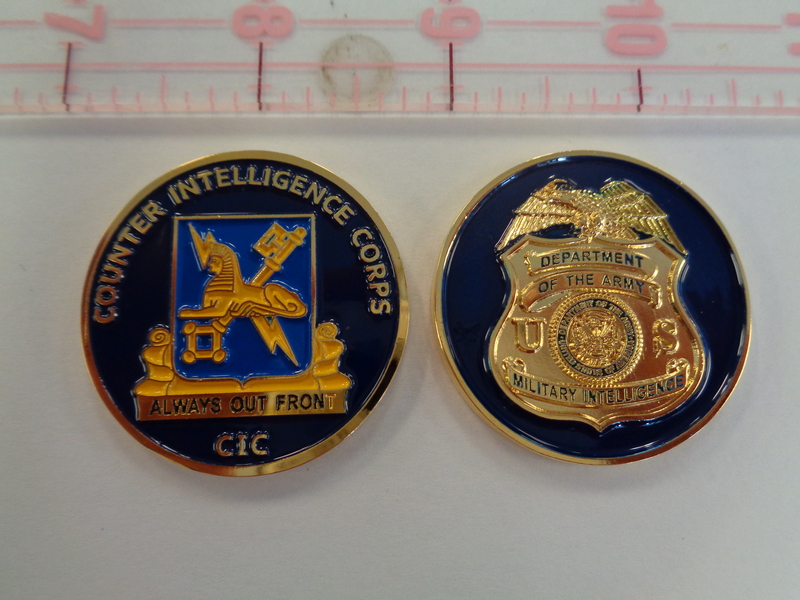 Many people trade these coins at training and collect other department/unit coins.